My niece just moved to Memphis and I thought getting her some gift certificates to some great local restaurants would be a good idea for her Christmas present. Any suggestions for some good, roadfood-approved restaurants are greatly appreciated! My favourite place in Memphis doesn't have gift cards and it's in a sketchy neighbourhood. I am thoroughly taken with the spicy chicken at Uncle Lou's. Best in the city, IMO (certainly better than the chicken I've had at Gus's). I highly recommend it, though. You could always get her some cards for Corky's. 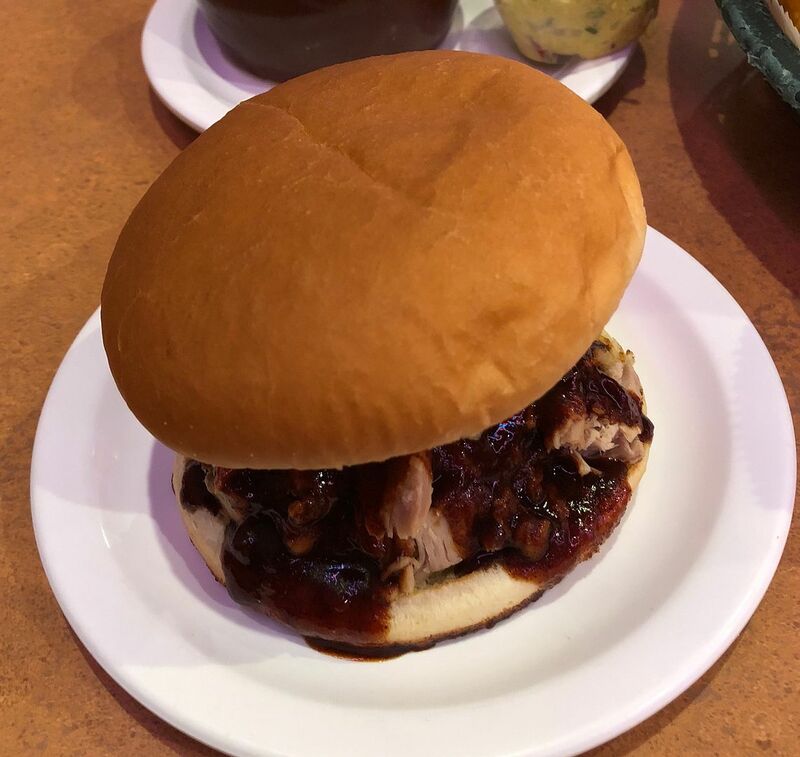 They aren't the best BBQ joint in Memphis but they make good barbecue. Thanks! I can definitely see giving her a list of a bunch of restaurants to try and some gift certificates for some to give her a place to start. Have them go to Payne’s. It’s great. I highly doubt they have gift certificates. 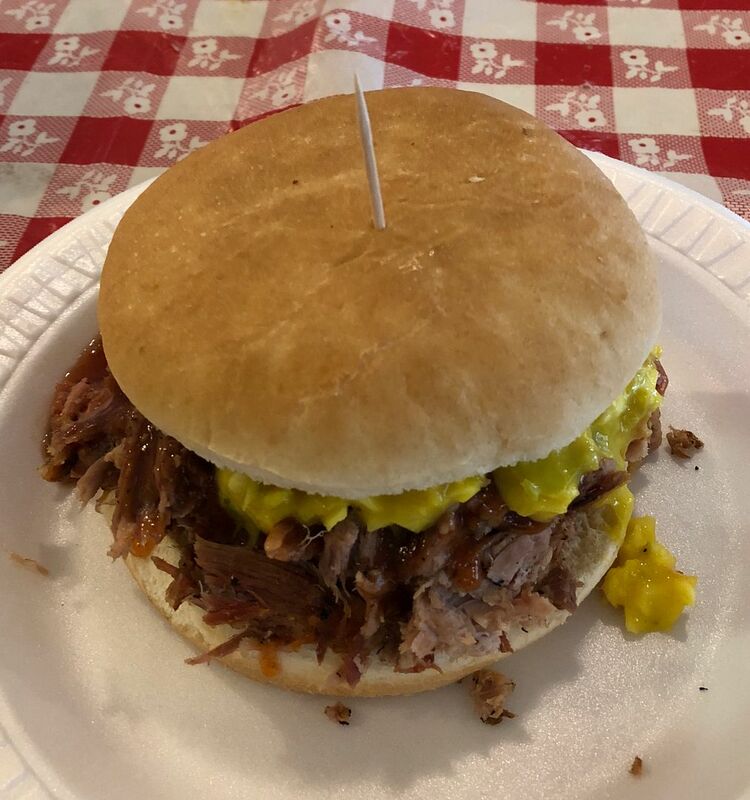 Payne's is a great suggestion for BBQ! David is right on with it! There's also Interstate, who do a very respectable job. And everyone that has lived in Memphis loves Coletta's (touted as Memphis' oldest restaurant). The Italian food is good and they make a BBQ pizza that really stands out! 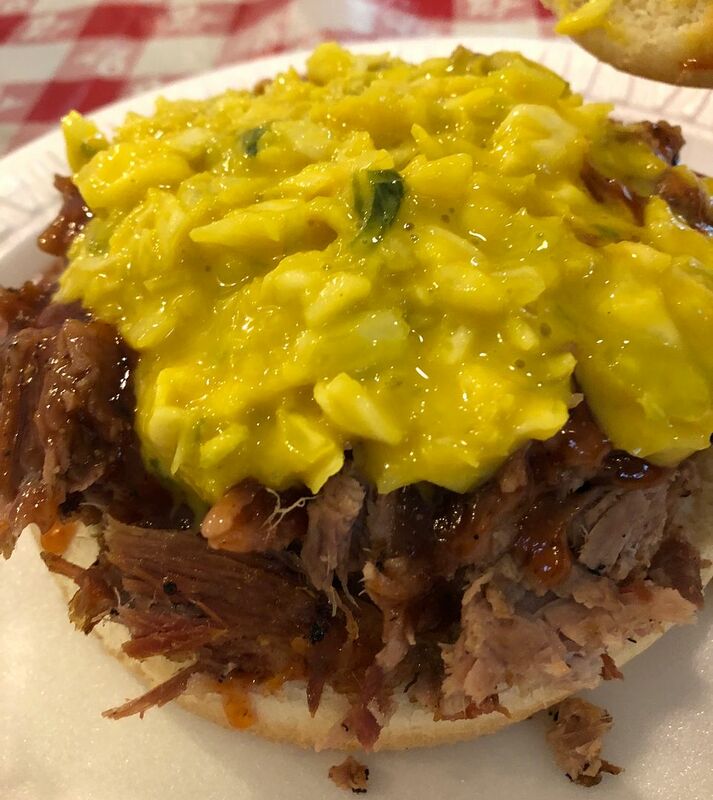 The really great thing about Memphis is that there are so many great places to eat there. I'm afraid I don't know anything about Memphis, Mrs Bonk, but I want to say that I think your gift certificates and a list is a terrific gift idea and very generous of you. I would really be excited to get a gift like that for a present! Another vote for Payne's. Just outstanding 'Que! Put me down for recommending Paynes also. And I like Central BBQ, the original one on Central. Although Sandra did not like Paynes (I discovered she does NOT like the concept of Slaw over Q) I love it and it's always a must stop since my first visit in 05 but I doubt they have gift cards. Although I haven't been to Cozy Corner in 10 years (on the last Presidents day weekend tour) I love it . Same with Interstate which I haven't been to since my first visit 20 years ago however I bet Interstate does have gift cards. We both loved BBQ Shop on our visit last month- and I bet they have gift cards too. WJ: any chance I can send you a PM? Always the thoughtful one. Bless you my son. 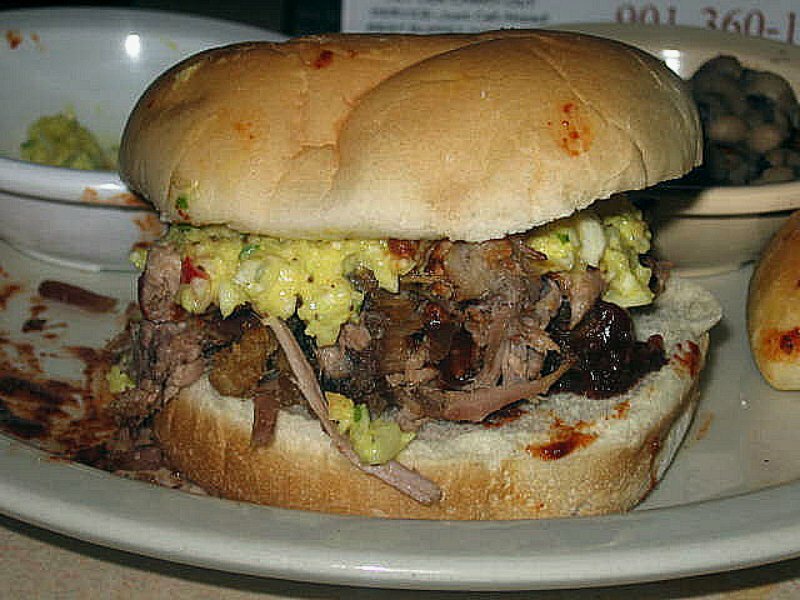 We found the best burger in Memphis on a recent visit http://www.chowpapi.com/wordpress/wordpress-2.8.6/wordpress/on-the-road-with-rl-reeves-jr-roxies-grocery-in-memphis/ and unimaginably bad barbecue at Bar-B-Q Shop. Worst I'd had in over 30 years. I'm not sure the barbecue I had at Bar-B-Q Shop was the worst I've ever had, but I sure didn't like it very much. Interestingly, it seems the only thing that Dale and I agree on in this thread is Payne's. I loved it, and I'm grateful to him because he was the first (of many) to mention it to me. I'm sorry Sandra didn't enjoy it. But I liked the lemon ice box pie at the Cupboard, and as noted above, didn't much like the BBQ Shop. 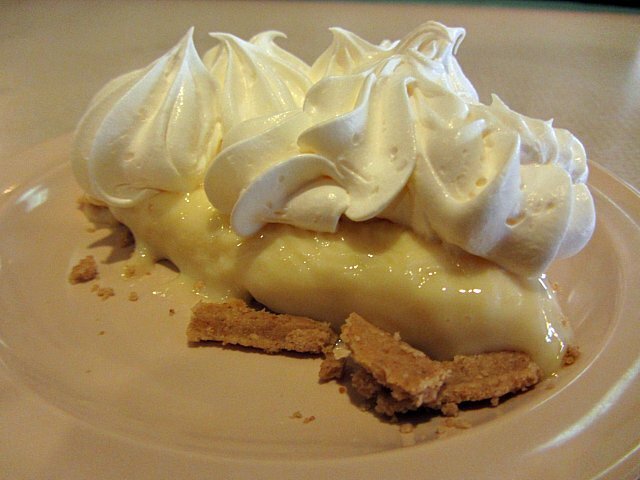 I've only had a couple of slices of lemon ice box pie, so it could be that there are much better versions out there. I need to keep looking. 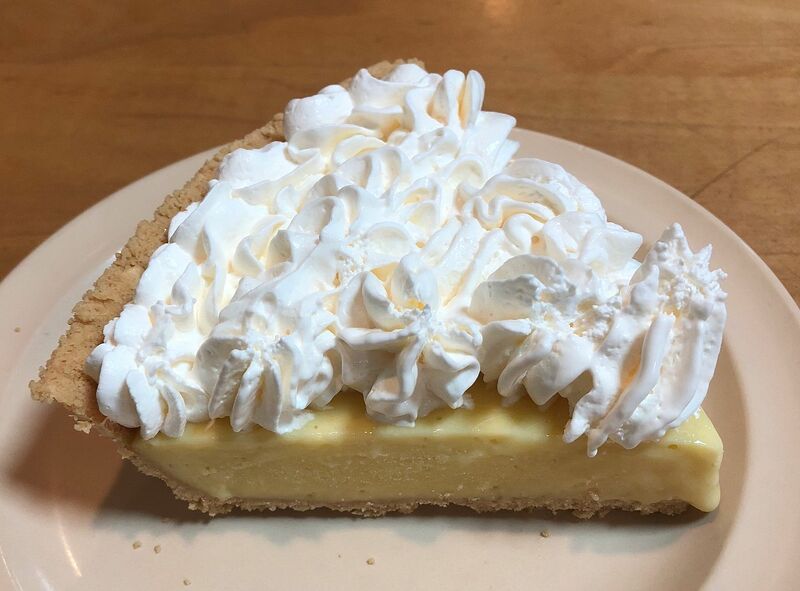 As I reported on my trip to Memphis, the lemon ice box pie at the Cupboard was actually a bit icey, so mine certainly was much better than yours. That sounds horrible. All of the food at the BBQ Shop was lukewarm, including the barbecue spaghetti, which took about 15 minutes to get to my table. The toast was so tepid I asked for it to be replaced. It was, with toast that was equally tepid. 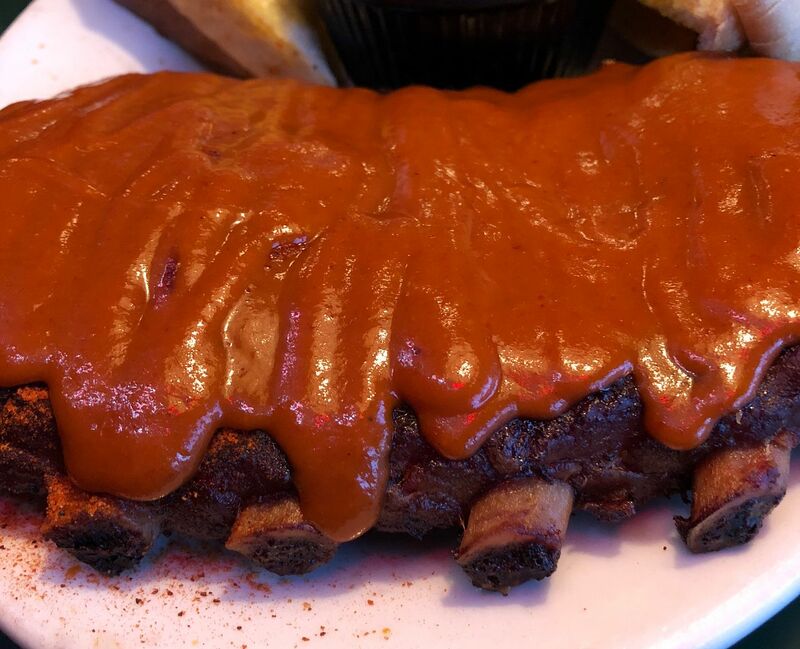 I didn't like the fall of the bone style of ribs that I found all over Memphis, and I didn't like them being utterly drowned in sauce at the BBQ Shop.. I remember liking Interstate much more when I was there about 8 years ago or so, my only other trip to Memphis, when I also went to Rendezvous, which I didn't like at all. I actually liked Leonard's, which I went to based on Cliff's recommendation and review. Except for the onion rings, which were pretty disgusting. Frankly, other than Payne's, I'm not sure there's a reason for me to go back to Memphis. This was my sandwich at Leonard's.... an atrocious experience that still lives with me 10 years later. I can assure you if I ever find my way back to Memphis...(it could be a very long time) I will never return to Leonard's.. 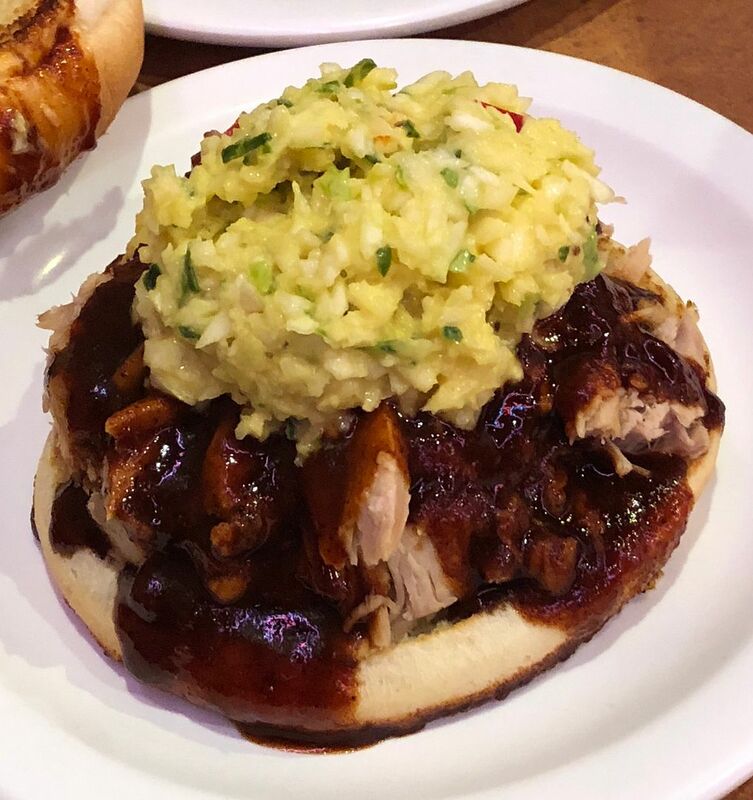 This was my sandwich at Leonard's last April. 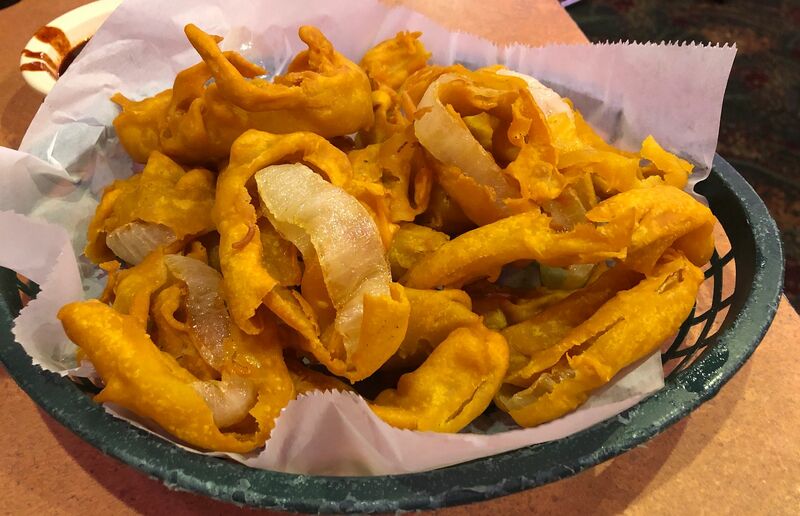 These were the disgusting onion rings. These were my ribs at the BBQ Shop. I don't understand why any restaurant would put this much sauce on an order of ribs, unless they don't want you to taste the meat. As I said, the only reason for me to go back to Memphis would be Payne's, and thank you again for the suggestion! This was my pie at The Cupboard. It looks a lot better than yours! I don't even see how they could call yours an ice box pie, unless there was a power failure. Actually, the Rendezvous was my and my family's favorite in Memphis------so different strokes for different folks! I thought the dry ribs were excellent. It is more upscale than most barbeque joints...……..the service was outstanding, and it was the same each of the two times that we were there.